Hailing from the Land Down Under, Subjoi has been making huge strides, especially in the burgeoning lo-fi scene. Even though crunchy house aficionados had been rinsing his tracks for a while, the Adelaide native really came into the spotlight last year, after releasing The Way I Feel on Pulse Msc. 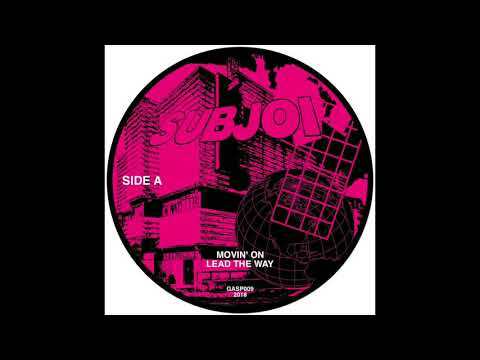 The dreamy lo-fi anthem has really exploded, especially on YouTube, where it recently eclipsed a 3 million view mark.Subjoi is without a doubt one of the key producers of the nascent scene and his release catalogue is the best proof of that. It seems that all the major imprints of the genre are vying for a chance to feature Subjoi, as he has released his music on the likes of Lost Palms, Dansu Discs, Neo Violence, PIFF Records and Houseum Records among others. For those keeping track of the lo-fi movement, these names are undoubtedly familiar. Next stop for Subjoi is Poland and the Warsaw-based GASP Records. The label already boasts such names as DJ Psychiatre or Raär on their catalogue but, with Subjoi, they finally have a true lo-fi heavyweight on their ranks. The partnership has resulted in a 4-track EP, named The City.Today we’re taking a closer at Apparently – the last track on the release. The piece starts with signature hi-hats, accompanied by dreamy synths, with a slight acidic flavour. Luscious female vocals soon join the party and the track grows into a melancholic journey into the night. Shady corners, city lights and you, cruising through the empty streets with Subjoi blasting from the speakers of your ’05 Honda Civic. Sounds like a plan.The City is out on 12’ and digital directly from the label’s Bandcamp. Expect it to grace dancefloors around the world for quite some time.